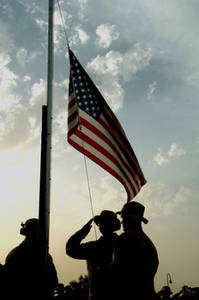 Description: Free picture of U.S. Air Force personnel saluting the American flag. The photo was taken at dusk on Memorial Day, 2007. This image provided by the Department of Defense.